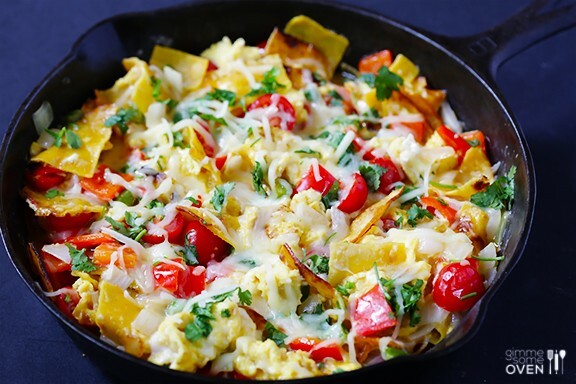 Cast iron breakfast skillet Tex Mex Migas recipe is a delicious collection of colorful ingredients that absorbs that special flavor only cooking in cast iron can impart. If salsa appeals to you, then you should consider the dish below as a starting point for your breakfast journey with salsa as one of your ingredients. While you can dress up your casseroles and omelets with the salsa of your choice, you won’t know the true power of salsa until you’ve tried the dish below. So give it a shot and you’ll see why it’s so beloved. What do we do when our breakfast is missing that extra kick from something with some heat? Well, there’s always salsa. Now, that’s an excellent idea. While that may sound strange to some, but salsa is just the thing to liven up any meal. Whether you’re in the heart of the southwest or the northeast, you’ll find that good salsa at any level can deliver that one, two kick your breakfast has been missing. How boring can that be when it’s the same thing day in, day out? Who doesn’t like some spontaneity every now and then? So how do you spice up breakfast when you’re just sick and tired of the same old thing? This recipe is just what you need.